As PechaKucha Night looks ahead to its fourth evening of lightning talks (20 slides at 20 seconds a slide) and cultural conversation, we are calling out to the creative class of Santa Barbara to recommend speakers for future evenings. Artists and architects, social activists and local planners, designers and futurists, environmentalists and philosophers: we want to give you six minutes and forty seconds to tell Santa Barbara about your passion. This is Santa Barbara’s place in a global conversation about culture and society. In a world of online social networks and virtual communities, PKNSB reminds us that we live here, and that it takes a whole town to nurture a great idea. The talks at PKNSB represent the best that Santa Barbara has to offer. PKNSB is planning to run one event per month through October, on the last Thursday of the month. After a break in November and December for the holidays, PKNSB will be back next year starting in January. We need 6-8 speakers an evening. That means 60-80 speakers a year. 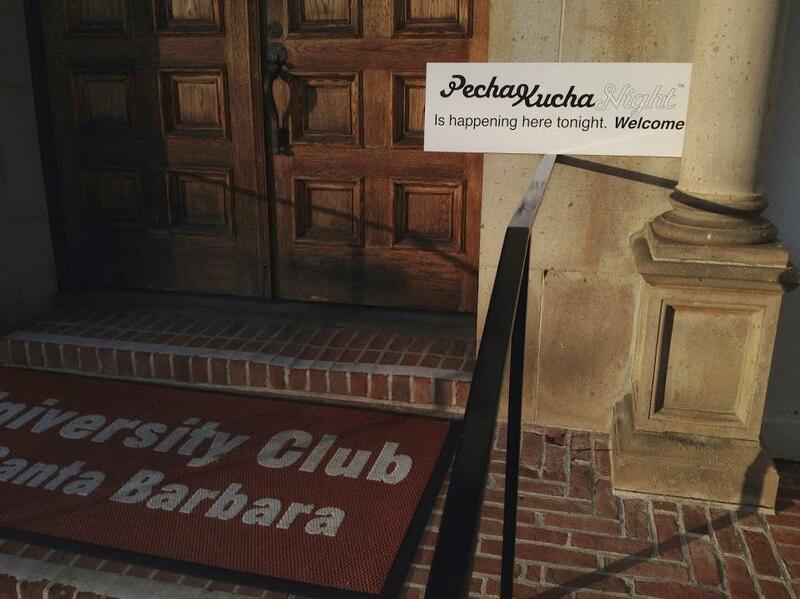 If you have a passion you would like to talk about, you can go to Santa Barbara’s page on the global PechaKucha site and send us a message: http://pecha-kucha.org/night/santa-barbara/ . If you have someone else you would like to recommend, send me an email (brcaron at gmail.com) with their contact information. We hope to see you on Thursday. And come early, the last PKNSB sold out.